Oh, what might have been! 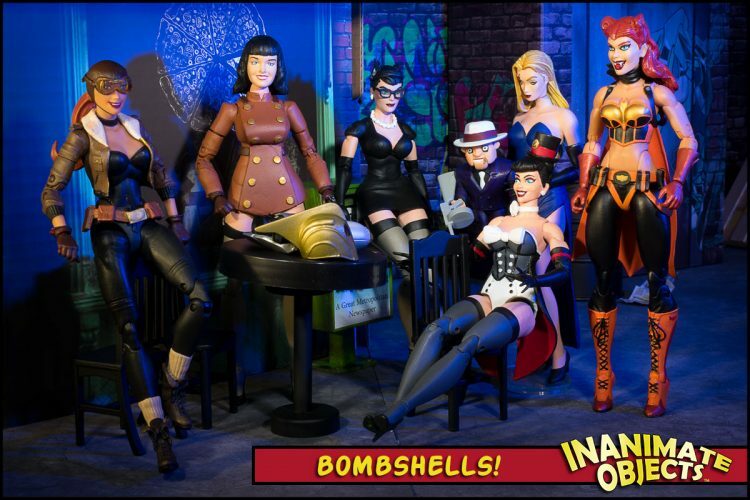 Bombshell Zatanna was meant to be part of the third wave of Bombshell figures by DC Collectibles. Sadly, like so many other products solicited by the company in recent months, the whole wave was cancelled without explanation. So I took it upon myself to partially fill the void left behind. 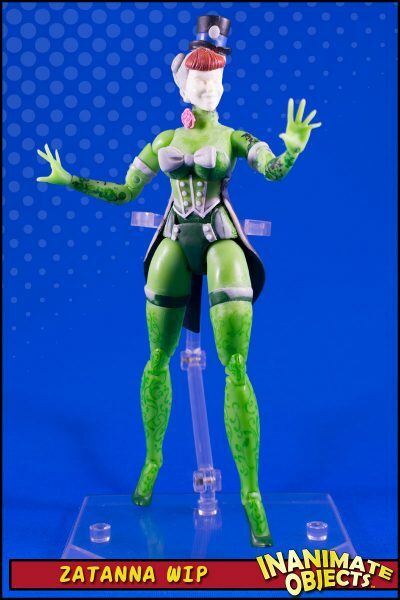 Like so many of my Bombshell customs, Zatanna is built on a Poison Ivy base. (That flower comes from Ivy, too.) The details are made from Magic Sculpt, vinyl, and styrene. The coat tails are taken from a DC Direct Long Halloween Joker, which were just the perfect shape. 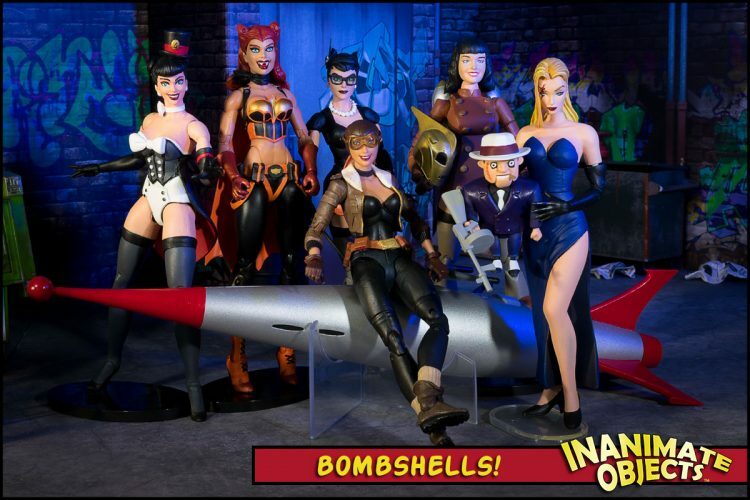 I could have used some other set of tails, or crafted new ones, but that pair really match the look of the existing Bombshell Zatanna statue. The laces in the back are drawn in Illustrator and printed, cut, and applied via matte gel medium. Yes, I cheated with those. Her head is cast from Bombshell Harley Quinn, with newly sculpted hair. The top hat is taken from a Kenner/Hasbro animated Mad Hatter. In the interest of maintaining my sanity, I dropped some details. No way was I going to paint all those stripes on her stockings. Same goes for the pattern in the corset. And I never liked the backwards tattoo, anyway. And the strings between the buttons in front were simply too small to manage. I think the final figure works well despite these absences.